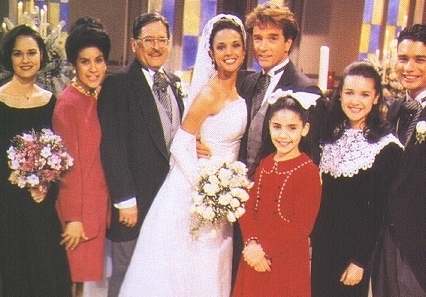 Maria & Edmund Grey's wedding. . Wallpaper and background images in the All My Children club. This All My Children photo might contain 伴娘, 荣誉女仆, and 伴娘伴娘.